A couple of charts just crossed my desk, charts which shake certain fundamental beliefs we all have about risk and return. 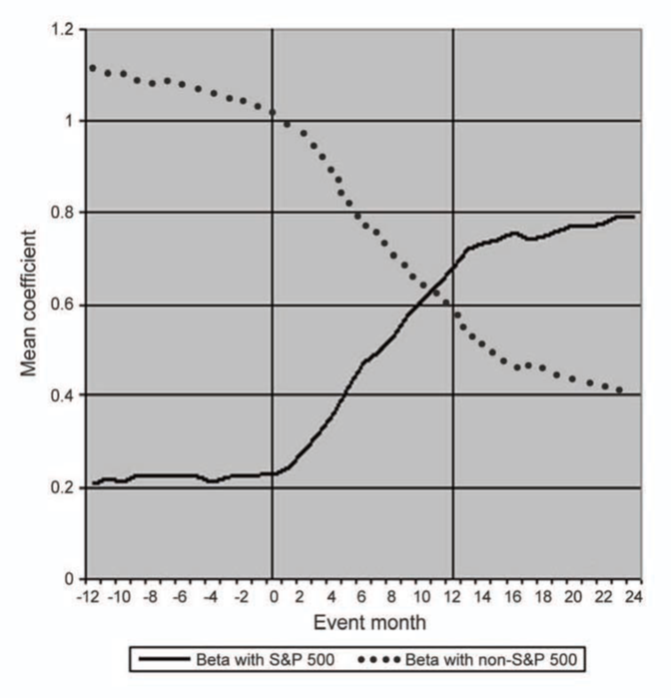 As soon as a stock joins the S&P500 index, its beta (measured against that index) increases dramatically. Why is this? 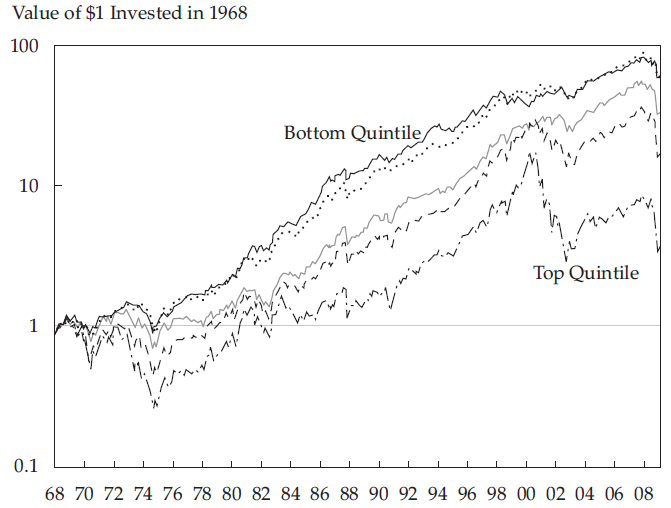 A reasonable explanation is that equity prices are increasingly driven by the actions of passive trading (such as that by index funds and ETF’s), instead of by fundamental analysis. In this world the marginal buyers buy and sell the index as a unit, increasing the covariance of price movement for stocks within the index. Lesson: be mindful of your beta calculation method. Counter to our closely-held intuitions, high risk yields low return.